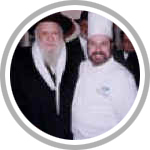 Since 1996, under the direction of Chef Gershon Schwadron has been on the culinary radar of the kosher world. Back then he was asked to do a series of cooking demonstrations, as well as being featured on a Panel discussing: “New Trends in Kosher Foods” at the 1996 Kosherfest held at the Meadowlands Convention Center. This followed his groundbreaking appearance as part of an International team responsible for the preparation of the 1996 King David’s Feast as part of the Jerusalem 3000 celebration. Teamed with Chef Paul Prudhomme of K-Paul’s Louisiana Kitchen from New Orleans, Chef Schwadron spent hours under Prudhomme’s tutelage preparing various components of the Veal Hazerly Prudhomme served at the feast. His culinary career began in Israel as an apprentice to Chef Edwin Felder of Lucerne, Switzerland. Chef Schwadron established his reputation for excellence in innovative fine kosher foods while serving as a Banquet Chef at the Dan Hotel, Tel Aviv, the Ramada Renaissance, Jerusalem and finally The King David Hotel, Jerusalem. 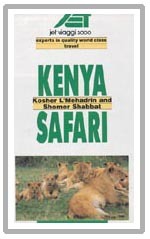 Schwadron then moved into niche catering with Kosher Safari’s in Kenya and Kosher Ski Tours in Sestriere, Italy. After returning to the United States to further enhance his culinary education; he become the first Shomer Shabbat graduate of the famed Culinary Institute of America in 1994; Chef Schwadron’s New York credits have included stints at: Levana’s, Ossie’s Table, Back to Nature, Arthur Schick Caterers and Cafe 123 and numerous Executive Dining Rooms in many Fortune 500 Corporations. This is where Chef 2 Go had its humble beginnings and built the foundations for a mobile niche caterer; that was able to bring the party to you no matter where you were at an affordable price. Prior to 9/11, had built a niche business and traveled the world catering Kosher Weddings in Maui, a cruise to the Galapagos Islands and numerous events around the United States. Unfortunately with the aftermath of the Twin Towers; the advent of the T.S.A. and having to break all the kosher seals to inspect our air cargo items, much of that had to be curtailed. 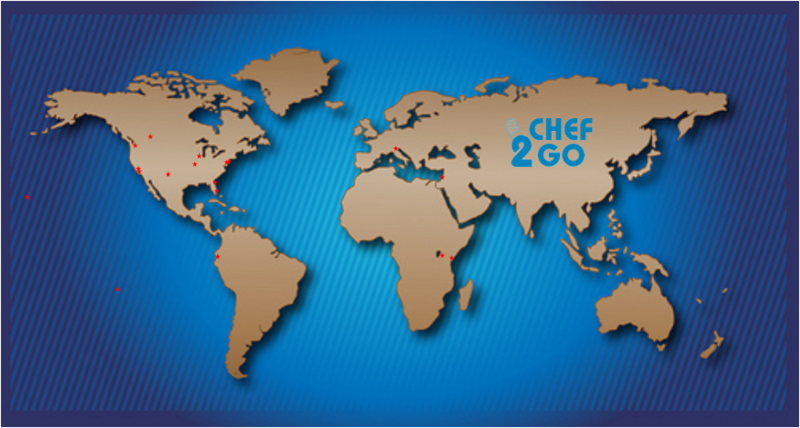 Now like One World Trade Center that has arisen from the ashes so too has Chef 2 Go. Now, using Boca Raton. Florida as our base we have returned to our slogan: “to cater any event, anywhere on the face of the earth on 30 days’ notice”. Grand Rabbi Levi Yitzhak Horowitz z’tl, The Bostoner Rebbe once told Chef Schwadron that: “He will define kosher cooking in the next ten years”. Just ask any of Chef 2 Go’s clients and they will surely respond in the affirmative.